Download "WARNING! WARNING! 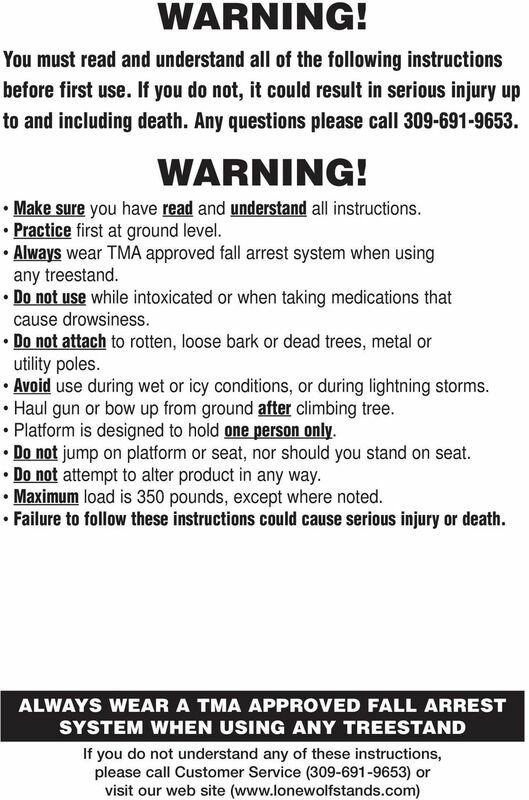 ALWAYS WEAR A TMA APPROVED FALL ARREST SYSTEM WHEN USING ANY TREESTAND"
1 WARNING! 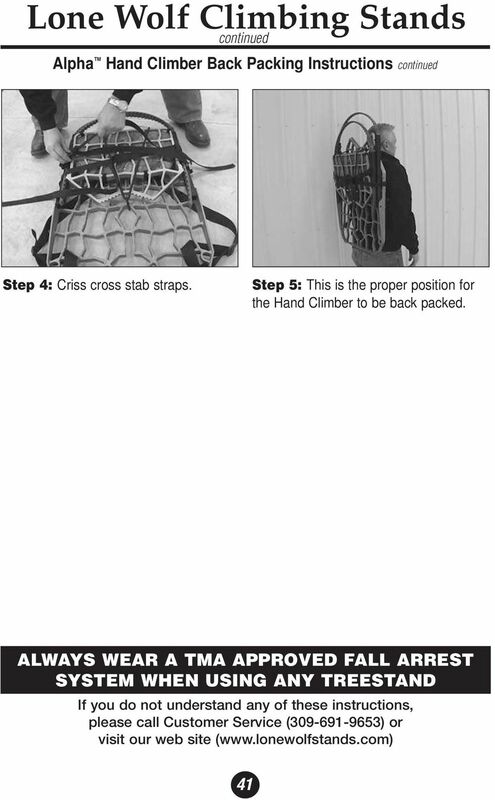 You must read and understand all of the following instructions before first use. If you do not, it could result in serious injury up to and including death. Any questions please call WARNING! Make sure you have read and understand all instructions. Practice first at ground level. 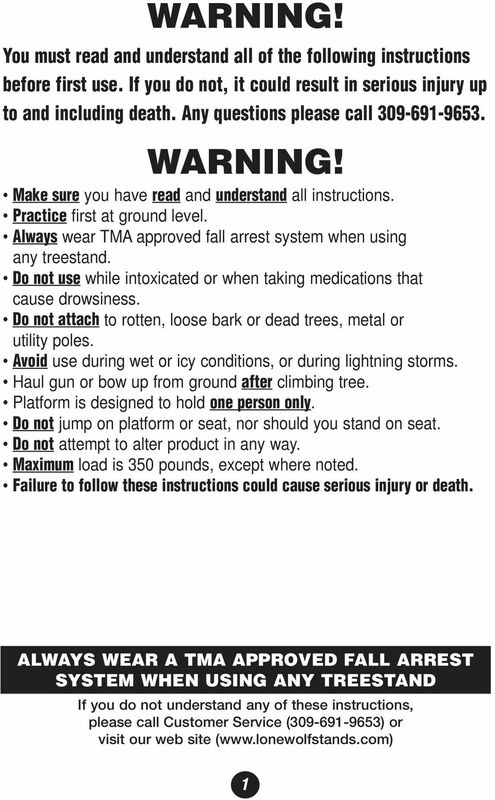 Always wear TMA approved fall arrest system when using any treestand. Do not use while intoxicated or when taking medications that cause drowsiness. 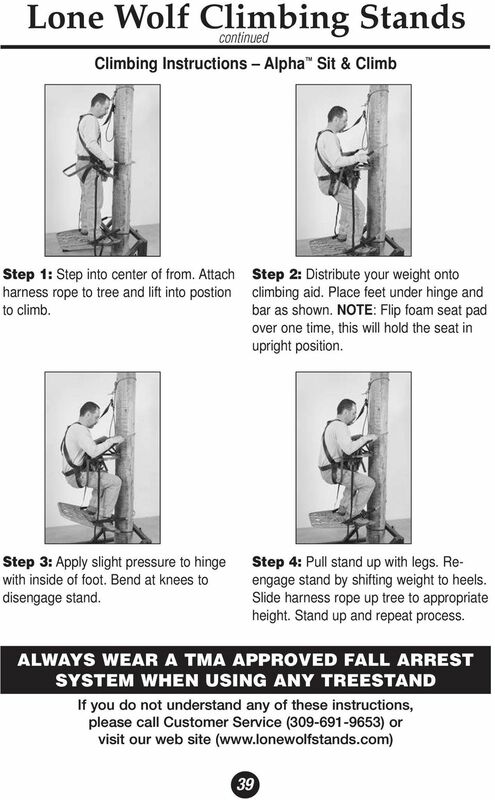 Do not attach to rotten, loose bark or dead trees, metal or utility poles. Avoid use during wet or icy conditions, or during lightning storms. 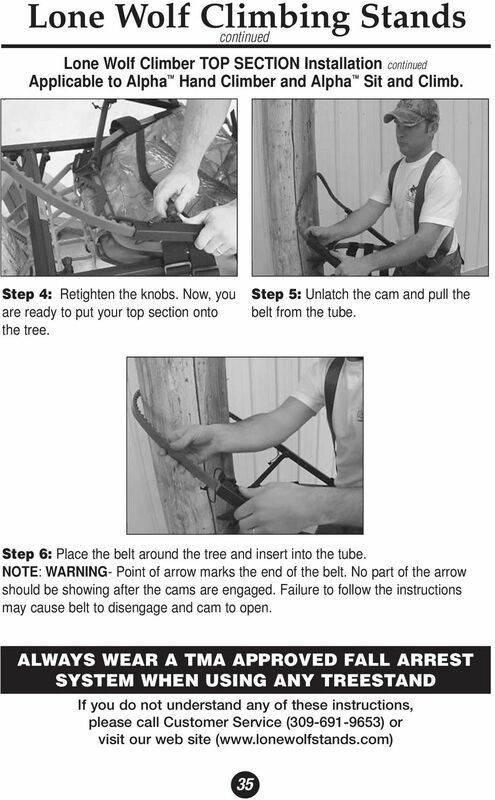 Haul gun or bow up from ground after climbing tree. Platform is designed to hold one person only. Do not jump on platform or seat, nor should you stand on seat. Do not attempt to alter product in any way. Maximum load is 350 pounds, except where noted. 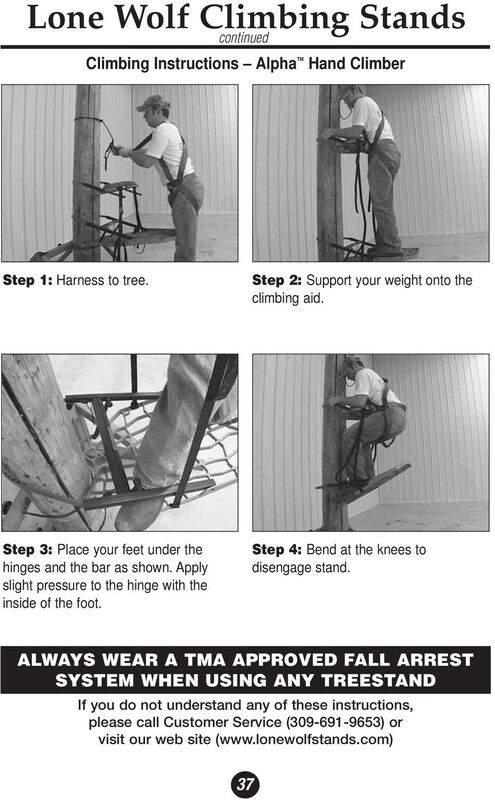 Failure to follow these instructions could cause serious injury or death. 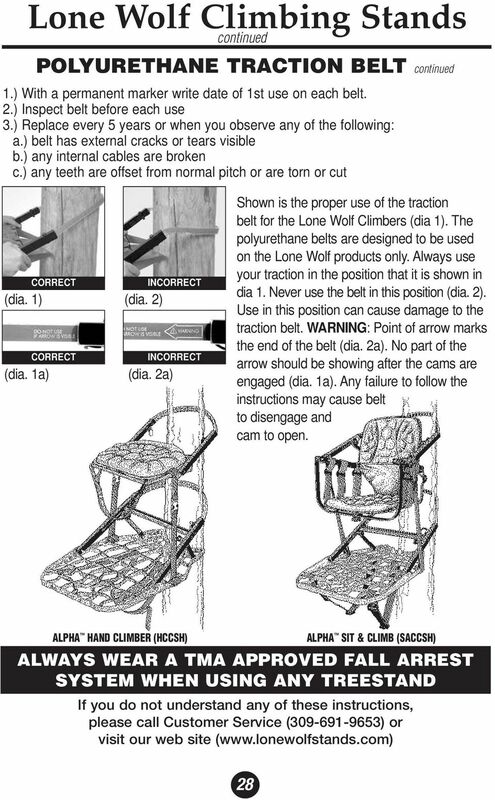 11 Lone Wolf Climber PLATFORM Installation Applicable to Alpha Hand Climber and Alpha Sit and Climb. 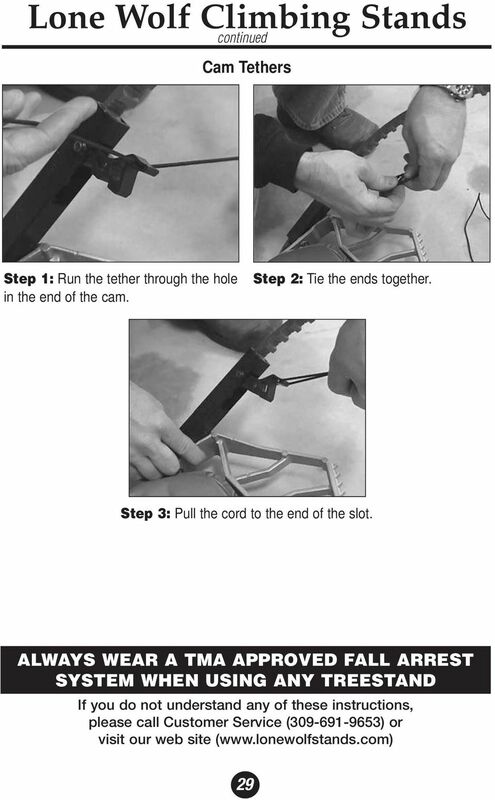 Step 4: Unlatch the cam. 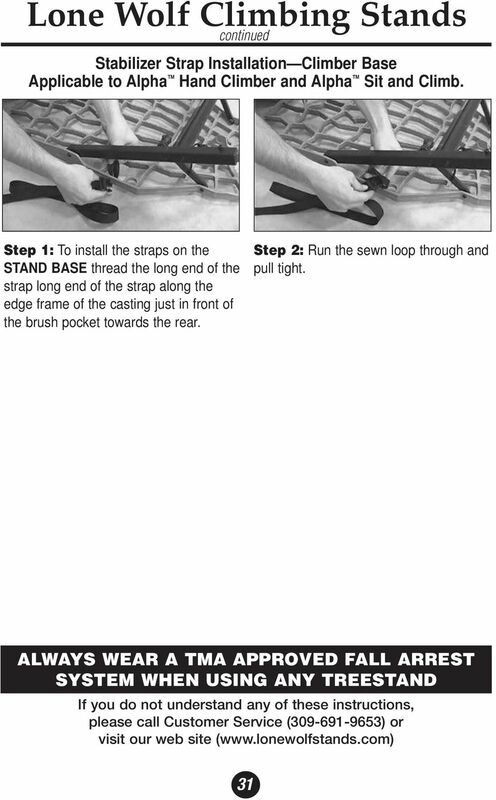 Step 5: Pull the belt from the tube. Step 6: Place around the tree. 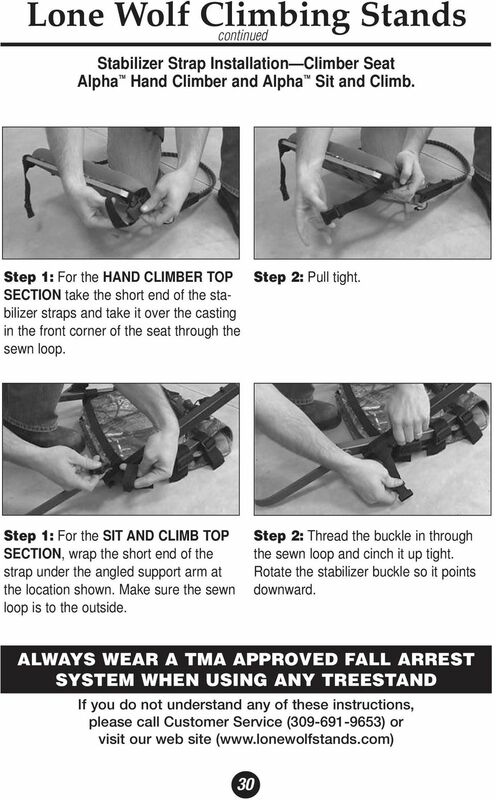 Adjust the stand platform slightly higher on the front end. 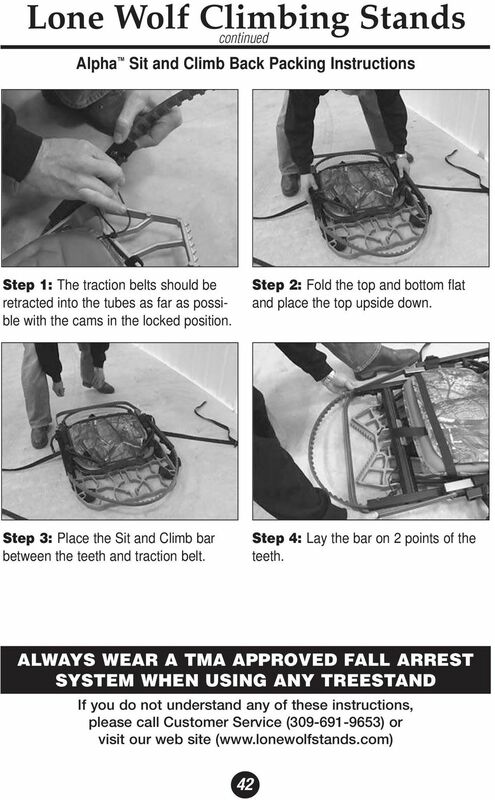 33 Step 7: Insert the belt back into the tube. 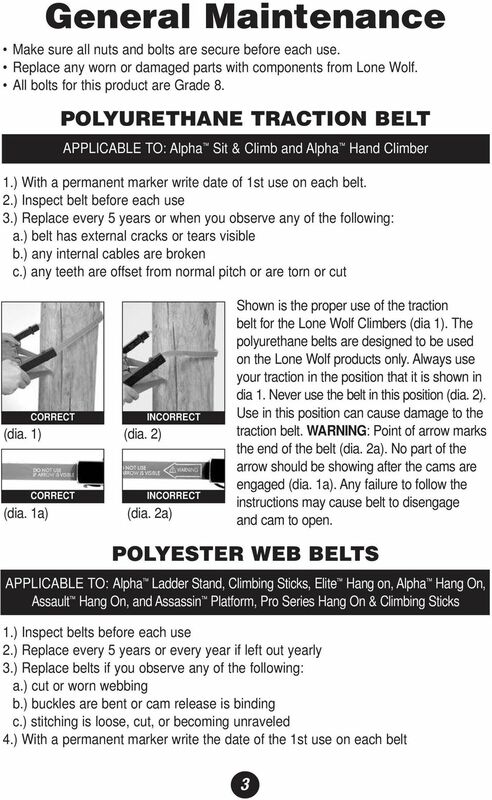 NOTE: WARNING- point of arrow marks the end of the belt. No part of the arrow should be showing after the cams are engaged. 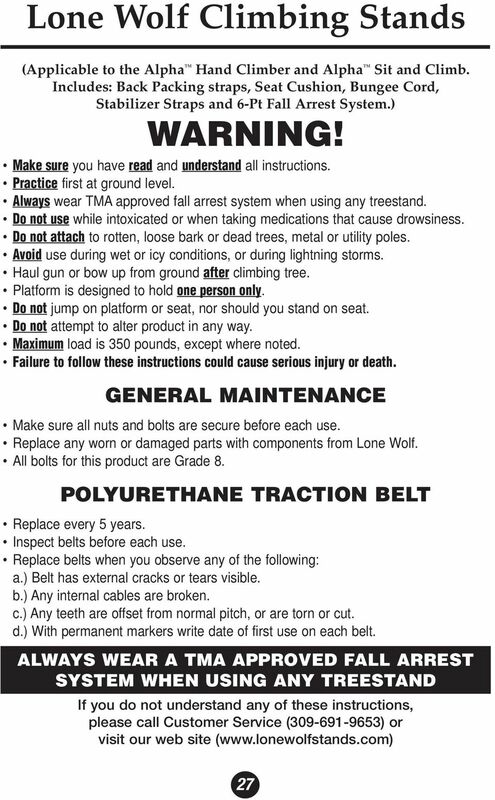 Failure to follow these instructions could cause belt to disengage and cam to open. 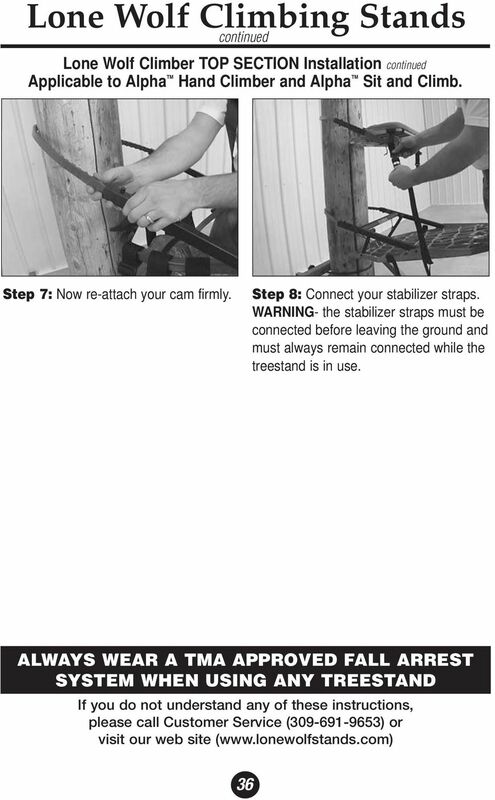 Now re-attach the cams firmly. EMBASSY HIGH CHAIR. Assembly Instructions. Adult Assembly Required. Read all instructions before use. Save instructions for future use. 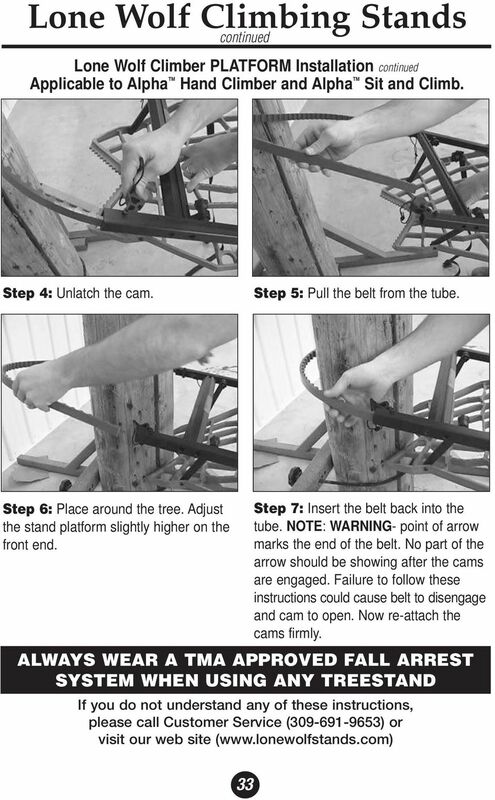 INSTRUCTIONS AND SAFE-USE MANUAL X-SERIES BOWHUNTER W/ SUSPENSION RELIEF & DEER DRAG WARNING! 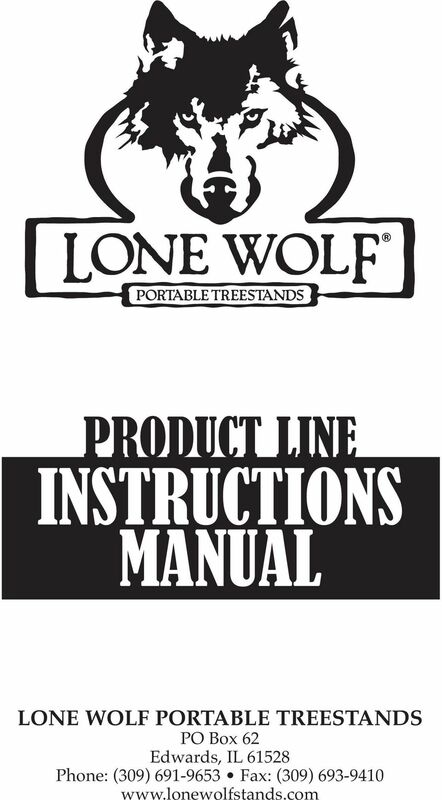 Read, watch, understand and follow all written and DVD instructions prior to using any part of this product. 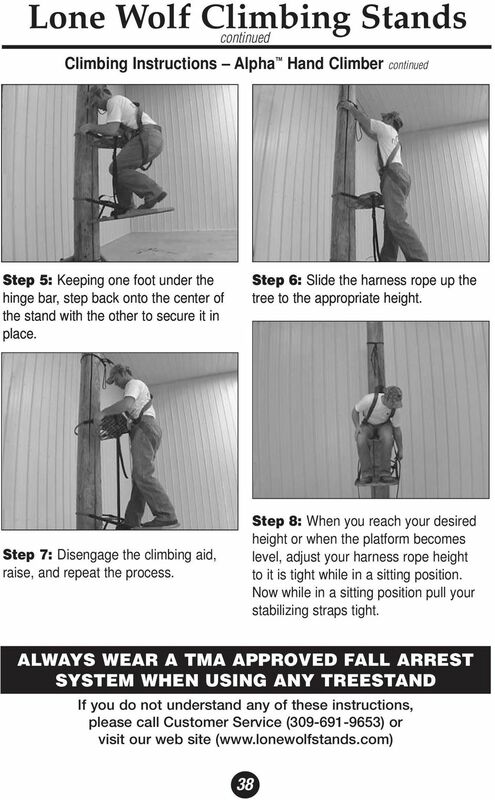 Complete Guide to Building a 12-Foot Elevated 4x6 Platform Stand Includes: Step by Step Instructions Materials List CAD Drawings Photos Page 1 of 20 Contents Introduction..... 3 Materials and Tools Required..
4. If in doubt, consult either the child restraint manufacturer or the retailer. 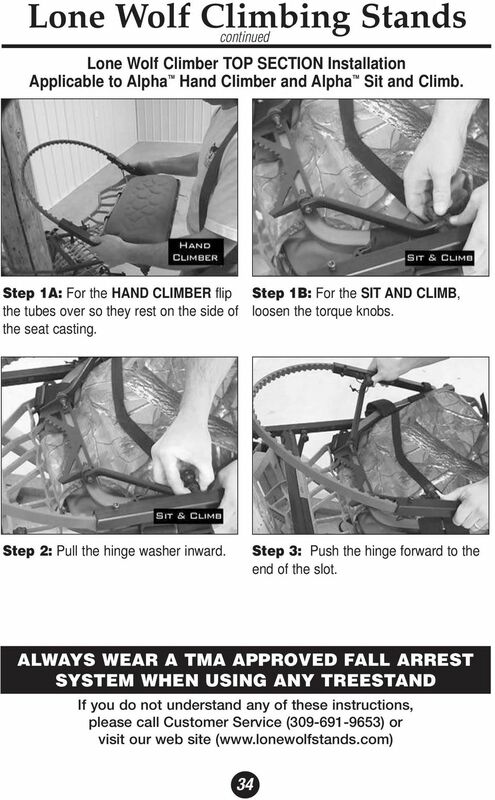 SERIES 2 S E RI E S 2 DLC:GH B6CJ6A HJEEA:B:CI SERIAL NUMBER Z2SUPP_0211Rev B - READ THIS MANUAL DO NOT OPERATE THIS WHEELCHAIR WITHOUT FIRST READING AND UNDERSTANDING THIS TiLITE OWNERS MANUAL SUPPLEMENT. 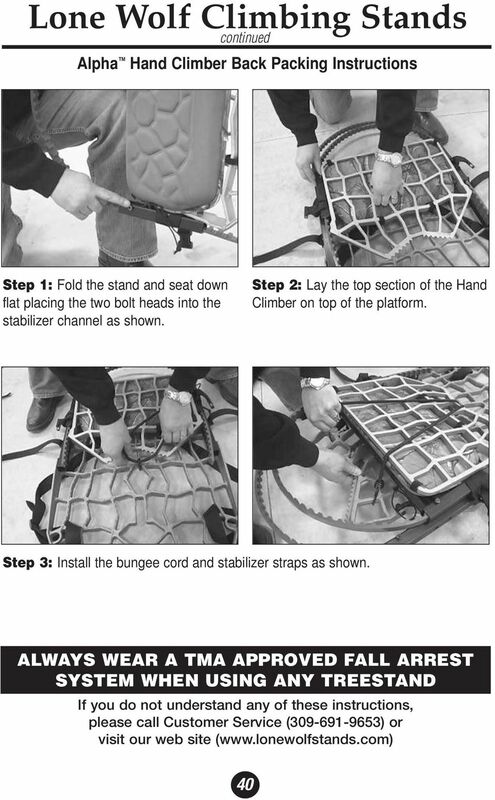 FlexRhoop Assembly, Installation, Care, Maintenance & Use Instructions VERSION 1.1 The Springfree FlexRhoop is built using the same innovative materials and design concepts as the Springfree Trampoline. 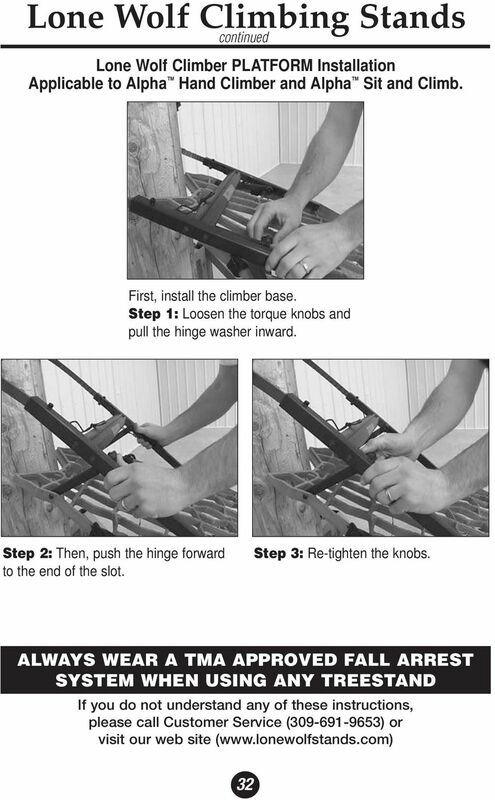 CRIB ASSEMBLY INSTRUCTIONS READ ALL INSTRUCTIONS BEFORE ASSEMBLING CRIB KEEP INSTRUCTIONS FOR FUTURE USE BELLINI BARRY IMPORTS EAST CO. 65 OVAL DRIVE ISLANDIA NY 7 USA BELLINI CAL - LINDA IMPORTS INC.